The Ravenna 10 has lost the dense medial post found in the Ravenna 9 and like the Adrenaline has adopted Guide Rails for it's support. 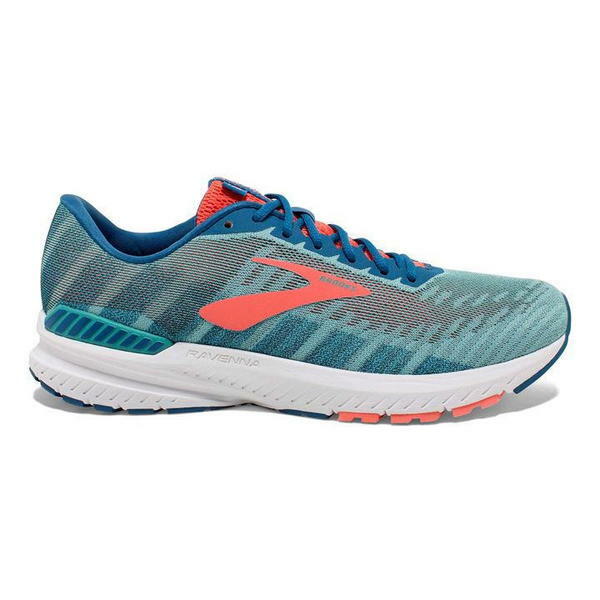 The midsole remains BioMoGo DNA with addition of more cushioning under the forefoot. The weight has remained nearly the same as it's predecessor.